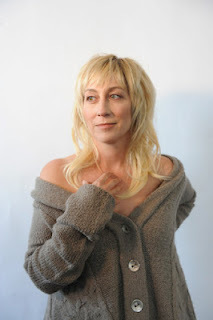 Amy Speace first came to my attention when she played a set at last year’s Maverick Festival. The favourable impression left from that appearance led to downloading her most recent album at the time LAND LIKE A BIRD which confirmed what a high quality singer-songwriter Amy is. Just under twelve months on from that UK visit, which also included a slot supporting Alejandro Escovedo around the country, Amy has announced the next phase of her career with a brand new album and hopefully some dates later in the year. In much the same vein as her previous material, HOW TO SLEEP IN A STORMY BOAT showcases Amy’s extraordinary talent to write, perform and sing beautiful songs in a style that straddles country, folk and all points in between on the Americana spectrum. A classical trait from Amy’s earlier theatrical career can be found in her vocal style as well as the folk influence that brought the subsequent and fruitful attention of the genre’s legendary singer, Judy Collins. Yet Amy has gradually funnelled her sound via the alt-country channels to Nashville and further west to the fertile singer-songwriter lands of Texas and Oklahoma. This has led her to the Music City recording studio of Neilson Hubbard for the album’s production as well as significant contributions from acclaimed Americana performers John Fullbright and Mary Gauthier. In an almost systematic streak of eleven four-minute songs, Amy uses the album to rehabilitate a series of her recent personal afflictions that many people also have to deal with but often singer-songwriters use as a source of inspirational genius. Amy is also keen to draw on the writings of the Bard, another hark back to her Shakespearean background. For the musical accompaniment to her lyrical offerings, Amy elects to combine the conventional roots instruments with a more classical feel from cello, violin and piano to give many of the songs a fuller sound. The three standout tracks appear early in the album but this need not detract from soaking up the gentle atmosphere of the record’s full 42 minute length. The fantastic duet with John Fullbright heads this trio with a metaphorical tale of anthropomorphism titled ‘The Sea and the Shore’. Ultimately the sturdiness and reliability of the shore outlasts the restlessness and inconsistency of the sea to send a message of which approach reaps greater rewards. The rousing opener ‘The Fortunate Ones’ inspired by the Agincourt speech of Henry V is perhaps the most country sounding track and is very reminiscent of Mary Chapin Carpenter at her finest. 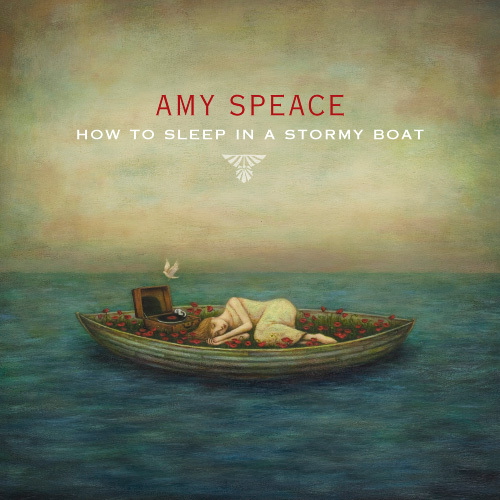 The title track ‘How to Sleep in a Stormy Boat’ sees Amy at her best using words to come to terms with her issues and understanding where the answers are. All this is perfectly delivered by Amy’s graceful vocals and a semi orchestral sound. Of the rest, the elegant ‘In Salida’ is an amazing piece of song writing and a re-collective tale that manages to hold its structure throughout, while ‘Bring Me Back My Heart’ is one of Amy’s more tender compositions. Some lovely guitar work accompanies the soulful ‘Hunter Moon’ and ‘Left Me Hanging’ contains some haunting pedal steel as well as a writing and vocal contribution from Mary Gauthier. ‘Lullabye Under the Willow’ is a song that veers very much towards a traditional folk style. While not matching the heights of the album’s earlier tracks, the closing trio of ‘Perfume’, ‘Feathers and Wishbones’ and ’Hesitate’ all glide along elegantly and allow the very fine vocal qualities of Amy to flourish. In essence the album melts away in a satisfying manner to round off what could be considered her finest effort to date. The live performance of this album has the potential to be one of the gig highlights of the year as it contains all the attributes required for an adorable evening. While we wait in anticipation for this to materialise, repeat listens of HOW TO SLEEP IN A STORMY BOAT will be a more than adequate substitute.